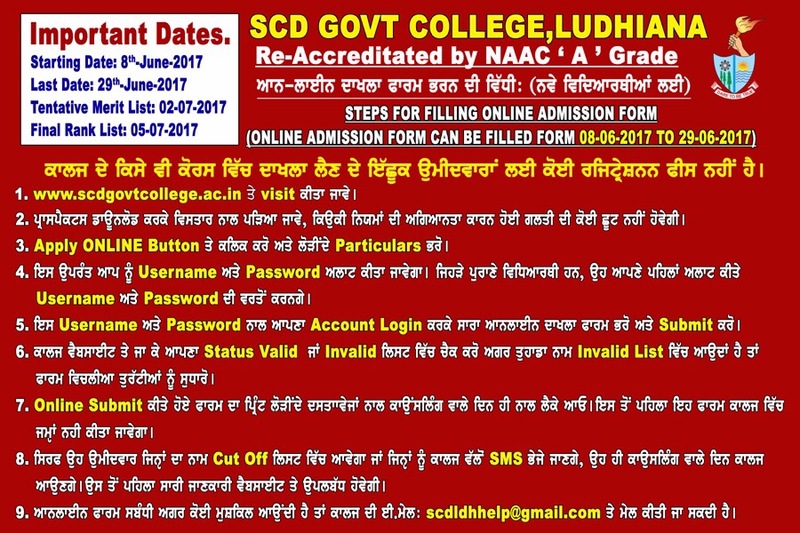 SCD Government College does not automatically capture any specific personal information from you, (like name, phone number or e-mail address), that allows us to identify you individually. If the SCD Government College requests you to provide personal information, you will be informed for the particular purposes for which the information is gathered. We do not sell or share any personally identifiable information volunteered on the SCD Government College site to any third party (public/private). Any information provided to this Portal will be protected from loss, misuse, unauthorized access or disclosure, alteration, or destruction with best efforts but SCD Government College will not be responsible for such as acts.